The Leading Indicator for International Developed Markets (EFA) is at 1.54% and is 0.14% percentage points lower than last month. The Leading Indicator for International Emerging Markets (EEM) is at 5.86%. The OECD released their Leading Indicators for most major countries on Monday. 15 of the 20 countries in the Developed Markets had increasing Leading Indices. 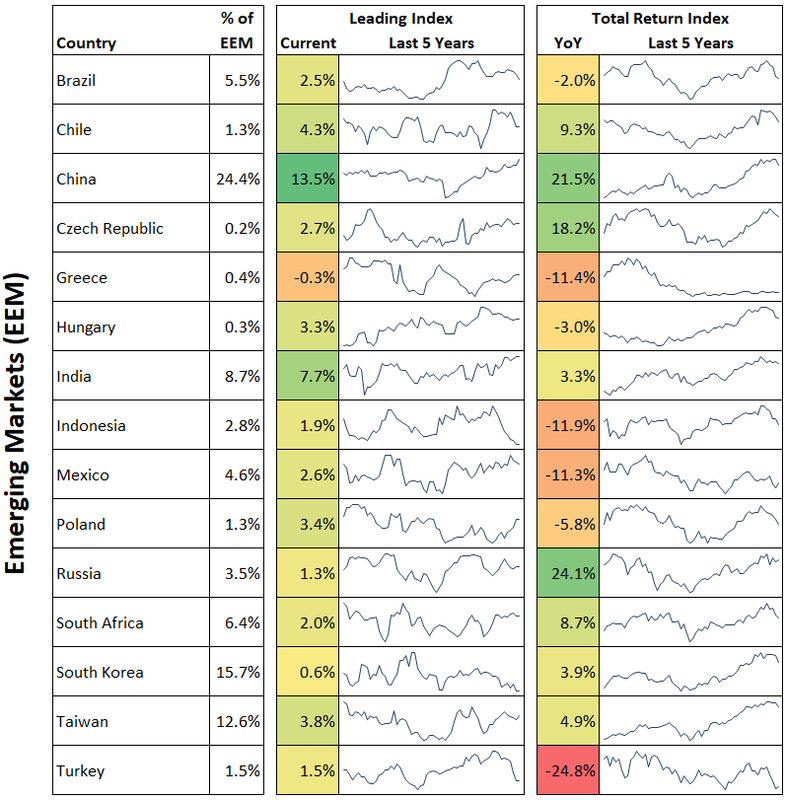 The Leading Indices increased for 13 out of 15 countries in the Emerging Markets. When available, I have averaged the indicators with the Conference Board's Leading indicators to create a composite for each country. 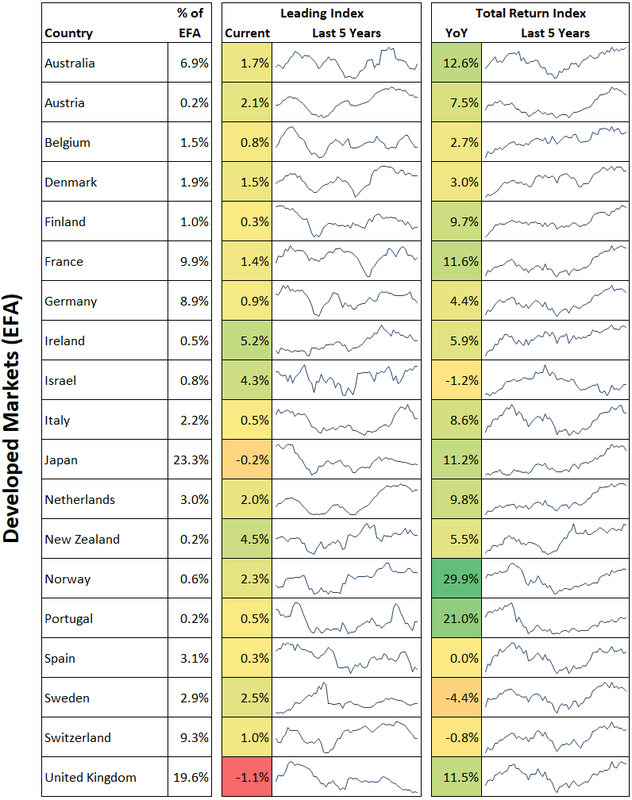 I created Leading Indicators for International Developed Markets (EFA) and International Emerging Markets (EEM) by weighting each country's growth rate by the market share of each country's stocks in the respective funds. On the last chart below, you can click on the blue and red buttons to see the Leading Indicator growth rate and an ETF for various countries.